This English version of the original French language document includes notes to clarify the authors’ objections to the appointment, as the reasons may not be readily apparent to people living overseas who are unfamiliar with the long tradition of academic debate and freedom in Europe – founded on principles of the oldest university in the world, the University of Bologne, which celebrated its 900th anniversary in 1998 http://www.magna-charta.org/magna-charta-universitatum and to which Prof. van Ypersele’s own employer, the Universite Catholique de Louvain, is signatory, along with 776 other universities around the world. 5) Party to an organization and on-line petition (since removed) attempting to impose disciplinary action on a university colleague who engaged in free academic inquiry that criticized the IPCC official position: Prof. van Ypersele is a member of the George Lemaitre Centre for Earth and Climate Research (TECLIM – Universite Catholique de Louvain) that requested that university authorities impose disciplinary sanctions against his colleague. 6) Evidence of bias/lack of impartiality: While already party to the IPCC organization, in 2004, Prof. van Ypersele worked for the powerful environmental non-governmental organization (ENGO) Greenpeace and wrote a report on their behalf “Impact of climate change in Belgium.” The report featured a catastrophic science-fiction scenario as its introduction, inappropriate in an allegedly-scientific document. Greenpeace has recently been identified by India as posing a threat to national security for its efforts to shut down economic development and any use of fossil fuels; Greenpeace in Europe has demanded an exit from fossil fuel use and from nuclear energy and advocates for political ideologies that would bankrupt the Social Security and pension system of Belgium. The signatories act in a personal capacity. Brief biographies of the signatories are noted below. Anne Debeil, chemical engineer, Free University of Brussels, post university degree Safety level 1, Antwerp University, expert recognized by the Flemish Environmental Administration for Major Accident Reporting (Seveso Reporting) and former expert for Environmental Impact Reporting (air and water), has been active in her entire career in the environmental and safety field. Engaged since 2006, in promoting an open debate on climate science and energy policies, after the announcement by IPCC protagonists that the “science is settled”. Drieu Godefridi, master in law, PhD in philosophy (Sorbonne) has authored several books, notably in the field of epistemology. In 2010 he published « Le GIEC est mort, vive la science », translated in English under the title « The IPPC: a scientific body? ». 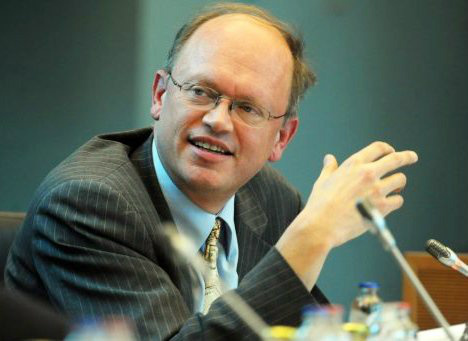 In 2013 he had a debate on Belgian television with Jean-Pascal van Ypersele (https://www.youtube.com/watch?v=iAiQ2OAnAxI), which was one of the first, and the last, contradictory debates to which Prof. van Ypersele ever agreed. Henri Lepage is a French economist best known for his book "Tomorrow Capitalism", published in 1978, that played an important role in reviving interest in France for free market market research and neo-liberal theory. Now retired - after serving as an administrator at the European Parliament in Brussels - he devoted most of his career documenting the limits and ineffectiveness of "command and order" public policies compared to market and property-based strategies - in particular as applied to the field of ecology and environmental goods. Lars Olof Myrén, chemical engineer, Chalmers Gothenburg, former expert recognized by the Flemish Environmental Administration for Major Accident Reporting (Seveso Reporting), has been mainly active in his career in the engineering, energy and process safety field. Engaged since 2006, in promoting an open debate on climate science and energy policies, after the announcement by IPCC protagonists that the “science is settled”. Istvan E. Marko is professor of chemistry at the Université catholique de Louvain and director of the organic and medicinal chemistry laboratories. Among others, he delivered during five years lectures on the chemistry of the environment. These lectures became an eye opener and he became deeply interested in the science related to climate. He debated with Professor Van Ypersele about climate change at the first "café chimique" organized by the Royal Society of Chemistry. After that, Prof. Van Ypersele refused to debate about climate science with him. Marko’s position on the climate debate led the warmist community at the UCL to file a petition against him asking for his dismissal from the university. Henri Masson, M Sc.Chemical Engineering, PhD Chemical Engineering. Professor Emeritus University of Antwerp (Belgium) in environmental and energy technologies, economics & management. Visiting Professor Maastricht school of management (The Netherlands), research methods (with emphasis on non-linear time series and complex systems structure and dynamics). Previously, Visiting Professor of Environmental Management and eco-design-life cycle analysis at EPFL (Ecole Polytechnique Fédérale de Lausanne, Switzerland). Past Director of SEII ( European Society of Engineers and Industrialists). Past Vice-President of FEDDE (European Federation of Ethics and Sustainable Development). Author of more than 150 (peer reviewed) scientific papers and communications at international congresses. Alain Préat is Professor at the Université libre de Bruxelles (ULB), Faculty of Science, Biogeochemistry and Earth System Laboratory, Department of Earth Sciences and Environment, and at the University of Soran, Kurdistan (Iraq). His research led him to publish about 140 papers in international and national journals, and to present more than 160 conference papers. He is the holder of eight courses at the ULB (5 mandatory and 3 optional), excursions and field stages, he taught at the third cycle in several French universities and led or co-managed a score of 19 Doctoral and Post-doctoral theses and has been the promotor of nearly 50 Masters theses. Figueres is perhaps the perfect person for the job of transforming "the economic development model" because she's really never seen it work. 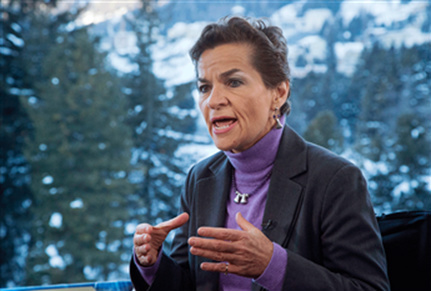 "If you look at Ms. Figueres' Wikipedia page," notes Cato economist Dan Mitchell: Making the world look at their right hand while they choke developed economies with their left.